Sale-a-bration is ending, don't miss out! Just a quick reminder about Sale-a-Bration (SAB)--it ends on Tuesday, March 31st. I'll be submitting an order that night. Please let me know if you have a last-minute-I-don't-want-miss-out order. 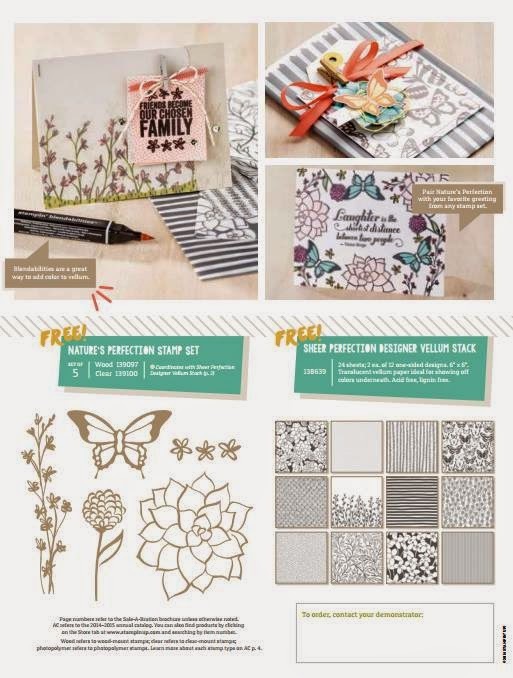 To commemorate the end of the 2015 SAB on Tuesday, March 31st, 7 to 9pm, I'm offering a farewell SAB card class featuring The Big Day stamp set and my favorite SAB stamp set, Lotus Blossom; these stamps are exclusive to SAB and will not be offered in the future. Tuition for this class is $10 (or free with a minimum order that night). RSVP now, space is limited! I love a bargain and I love getting stuff for free. If you are the same then you'll want to get in on this deal. 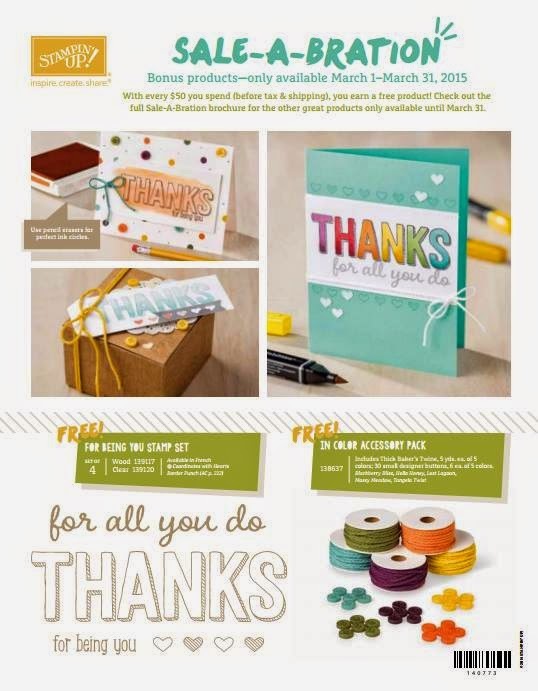 My Paper Pumpkin is a monthly subscription (click here to learn more) that delivers a stamping project to your door each month; the cost is $19.95 plus tax per month. Check out some of the past kits (click here); only subscribers can order past kits and refills. 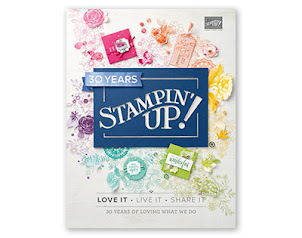 Stampin Up sells multi-month prepaid subscriptions (3-months, 6-months, and 12-months) which discount the monthly kit price. The biggest discount is for the 12-month prepaid subscription, it's like paying for 11 kits and getting the 12th free! And during SAB it gets even better---purchase the 12-month subscription during SAB and you'll get to pick 4 SAB items for free AND you get $30 in hostess benefits to spend on any products you want. And there's no shipping costs (shipping is included in the kit price and you don't pay shipping on the SAB or hostess items)!! But maybe you'd like even more stuff for free? If you add just $35 to your order you'll get $65 in hostess benefits! This sweet deals ends at midnight on Tuesday March 31st. Contact me ASAP to order your prepaid subscription!